Let’s admit it. We all like to take shortcuts given the opportunity. In my book; and going back since to the very first printed edition (31st December 2015, 11:30PM final PDF output) I have briefly outlined my encounter, research as well as giving away my thoughts on these two family chain of brands – the Pruvit® Keto/OS and the Forevergreen® series of sub brand “Ketopia” (which consists of Fixx™ shakes, Dough Bites™cookie meal replacements, and Ketonx™ flavoured ketones mixture drinks). Let’s begin by taking a look at a surface level of what these two brands are all about. I must admit; speaking as a designer myself – I find these upon first sight all exceptionally well designed, branded products. Vivid colour palettes behind Forevergreen’s abundant imagery-textures. Against the bold, confident and the sleek visuals behind Keto//OS. Far from just being pretty; but also sounding conceptual down to the naming conventions and terminology themselves. “WELCOME BACK TO THE VILLAGE”. Inviting you to a very certain sense of tribal belonging; away from all the current Normalcy. Sounds promising. The double slash tags in Keto//OS truly fascinates the trendy and the nerdy of all crowds. Just looking at the very name Keto//OS itself seems “technically” cutting edge. Akin to some sort of a “Keto Kernel Operating System / Codename Hydroxy Version Butarate (B) 1.0” – For Humans Only. Now if only this “operating system” could be envisaged as some sort of a non-science fiction, open source project – how cool would that be? The “objectives” behind these products are shared and simple. Ketogenic “adaptation” processes? Be damned. Depending on which brand you are going for (Forevergreen® VS Pruvit) you are either getting a “whollistic” package of goods (with Forevergreen – in forms of protein shakes, biscuits and flavoured exogenous Ketones water pre / post workout or in-between meal times) or straight down the exogenous ketones supplement themselves (Pruvit). Simply drink/snack in-between on these series of supplements with their “proprietary” blended ingredients profile and it’s theorised that these are guaranteed to send you to deep Ketosis straightaway. Well, perhaps not “instantly”. Though still faster than you’d think – in less than 59 minutes. First I will have to begin with a disclaimer. All within the context of nutritional humility, frugality and minimalism –I have not tried nor personally trialled these products on the basis of personal experience, testing nor assessed for their long-term sustenance suitability. I absolutely WOULD NEVER doubt nor question the efficacies behind any “Scientific” claims over what these products can offer; given the significant entitlements needed to buy / purchase / acquire these products in the first place. For I certainly am not the “well off” – as living under $30 week on food alone for more uncertain periods of time can prove my reasoning sufficiently justifiable. Furthermore I am not affiliated by any sport or health supplement “watch dogs” nor I am accredited by any means of anointed medical profession title/s and decoration/s. So, now we’ve got the fine prints out of the way – Let’s try taking a closer look at the products at themselves. We’ll be looking at two overall brands – the PRUVIT®’s own Keto//OS and Forevergreen® (and their KETOPIA™ family of products including KetonX™ exogenous ketones). The Keto//OS (at least thus far at this time of writing) contain just one product and its’ subsidiary versions of the same master product. Forevergreen® on the other hand, features a “10-day” package of shakes (Fixx), cookie meals (Dough Bites) and Ketone drink satchets (KetonX) altogether packaged as labelled and pending-trademarked name “KETOPIA™” under Weight Management category of the company’s website (forevergreen.org). You can get Keto//OS® easily and conveniently from their website directly. Forevergreen® products however can be tricky as they masquerade their online shops as separate third parties URLs; despite having very similar branding and exact same look of their promotional layouts across these sites. Upon closer look – hmmm….it does make you wonder why the need for multiple “clone” shops. Hence, I have chosen one of these “badged shops” (BuyKetosis.com) and have used their cost and figures as accordingly so just for the purpose for inclusion of mandatory informations for this article. Ingredients (OFFICIAL): MCT Powder, Beta Hydroxybutyrate, Natural Flavor, Malic Acid, Stevia and Caffeine ((caffeine free versions also available). Contains Milk Ingredients. Gluten Free. For those of you confused & wondering about their terminology – “KAN” is simply their marketing term for “tub”. Or simply speaking – a container / tub for all the serves. Where as “OTG” is shortened for On-The-Go – which are individual satchets / single serve satches. Just add water and blend. “KREME” Is essentially a version dedicated for hot beverages – namely coffees, hot chocolates etc. From all my reading thus far – there has been no warnings or precautions as per to the stability / longevity of the mix once they are made and dissolved in water (eg. prolonged storage in fridge). Hence just a bit warning and to be safe – the jury is still out whether it is “safe” to premix your Ketone drinks and store it for consumption later. I have finally found after much difficulties – from scouring Google their ingredients profile below. If any of these seem incorrect please advise in the comments section. (As part of 10 day kit “KETOPIA™” bundled with KetonX & Dough biscuits)- $180 AUD (Original Retail $223.72) Stand alone pricing: (interestingly I couldn’t find any supplier for stand alone pricing). (UNOFFICIALLY) I have finally found after much difficulties – from scouring Google their ingredients profile below. If any of these seem incorrect please advise in the comments section. Same stand alone pricing across two flavours (Chocolate Chip & Pumpkin Spice) 28 day supply – $150.73 AUD (Original Retail $178.38). …. (hi hats). Hmmm, I think I already am finding some problems. Four major ones in fact. Let’s take a look at them closely below one at a time. 1/4 They are not just expensive. They are unreachably expensive. These are not your typical “Designer-brands” BCAA + creatine + beta-alanine preworkouts at $90 for 30 serves you’d able to spot from any boutique supplement store. These are a LOT more exotic and most importantly – esoteric supplements; which makes all your supplements in the pantry seem “cheap” in comparison. Would you spend $150+ on supplements that is in actual fact – synthetic foods? I am compelled to further ask the following questions. Would I feel comfortable making a deal with health and nutritiously conscious company, corporation, organisation, start-ups, whatever – whom they do not even (officially) publish the ingredient profiles of their very own products? Why should I have to force myself to go above and beyond in searching for these ingredients profile in the net and deep within community forums myself? Would I invest my savings / earnings as a shareholder for such a company? Would I go ahead spending that much for what I exactly get is still relatively unknown or not explained that well at all? But perhaps more anxiously in the minds of general consumers – is how scarce; by way of consumption amounts per serve and how relevant are they in concept, theory and practicality within context of Ketogenic parameters? Let’s find out below. 2/4 ONE BITE. FOR THE PRICE OF MANY. Out of one huge lot of purchase of either the two families of competing brands – what do you exactly get of these products? To be honest – I am not exactly sure how to answer this, exactly. But I know how it can be measured. By analysing it’s theoretical connection to what we know by requirements (in this case – proper Ketogenic nutrient ratio of 70/20/10) as well as information disclosure / public transparency of the company themselves. Which of the two companies seems the more honest and credible? PRUVIT. Means of access, acquisition: Unreachable. Transparency: Credible. I’d say Keto//OS remains innocent in this one. Not guilty. Why? Because at the very least their ingredient profiles / nutrient weight elements are accurate and in line within what we require to stay within stringent Ketogenic ratio. Forevergreen® – Means of access, acquisition: Unreachable. Transparency: Not so credible. Unfortunately, this is cautionary enough for me to take note as a case study below. But what concerned me is their relative serving to overall price ratio. Let us take a look at the serving profile of Forevergreen®’s Dough Bites, again. Serving size: “One Bite”. Net Carbs: 2 (extra 2 from sugar alcohol, 15 grams as fibre). Protein: 9 grams. Fats: 7 grams. So in addition to taking the KetoneX drink you are expected to have just one bite of this Dough Bites, and a measly 10 grams of protein per serve of Fixx protein shake. Are these ratios even compatible with the strict / standard and proper Ketogenic parameters? Let’s find out below. KetoneX Drinks = 7 grams of Fats + 10 grams of carbohydrates + 1 gram of protein. 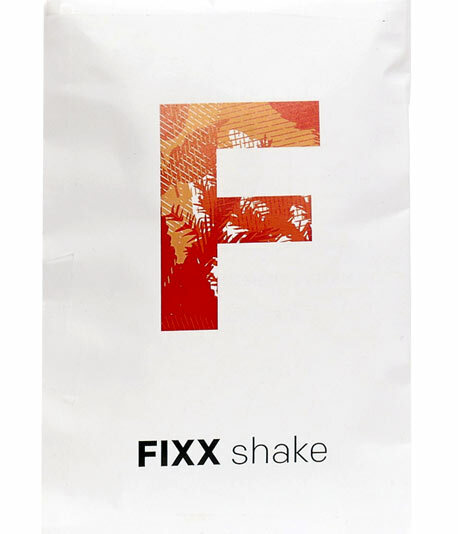 Fixx shake = 7 grams of carbohydrates + 10 grams of proteins. Let’s begin on the KetonX drink. In each serve of overall measured food / nutrient gross matter weight (7+10+1=18); you get 5% Protein, 60% Carbohydrates, 35% Fats. That’s a lot of carb load. This is definitely not within Ketogenic ratio by any means whatsoever. It is easy assume that the above 10 grams of carbohydrates are fibre… or is it? According to the image I found 1 gram belongs to dietary fibre. 2 gram belongs to sugar. And where’s / what description does the other seven grams belong or fall on to? No where; it remains a mystery, yet somehow existed being part of the quota. The protein of serving of Fixx shake is also to be quite frank – miniscule in comparison if you were to stick to buying / outsourcing them yourselves. Considering most likely that you are not going to live and get by just one shake per day. You would likely take at least two (in my case as an Inbetween Meal – afternoons and night) a day in realistic terms. $180 divided by 10 days = $18 per day…. Seriously? Did I miscalculate something here? Just a mere 10g of protein, then a stupendously carb-heavy “Ketones” drink followed by just one single cookie bite and call that a replacement meal? Can someone please tell me I’m wrong? 3/4 Excessive Marketing, Anxieties and Advertising Conundrums. There is a goal behind every advertising billboard. Or in any advertising medium in general. That is – to bring yourself profit and constant ROIs (Return-On-Investment). How? By making yourself look and sound Louder, Meaner, Man-lier, Smarter, Faster, Stronger and Bigger than Ben Hur. Whilst both brands are neither humble in way of presentation, it is Forevergreen® which concerns me more. I understand the importance and purpose behind patents and intellectual properties all for legal and abuse protection. But if this prevalence is quite excessively displayed in the public environment; that to me is simply pure, corporate ego. What is ego? To me – ego is the excess on whatever is obsessed. It is an excess of the explicit (influence, evidence, territory, strategy, vigour, honour, valour, victories/triumphs). As well as an abscence of the implicit (realisations, acceptances, essence, humility, and understanding). The issue I gather of these brands is the potential misbalance between the two above traits. These brands have both something BREATHTAKINGLY new and sensitive to offer. But they both lack the humility in considering the wider proximity issues to their products; namely accessibility (including proportional affordability) and (again) that they are excessively anxious in marketing themselves both aggressively and incessantly. Where’s the individual pricing for each product? Surely they would exist somewhere as a set of “original retail prices” proposed by the company themselves? Where is the OFFICIAL ingredients full disclosure / labels for each componentry? What do they mean by Phantomfibre™ or “24 Karat®” Chocolate? How much grammage of gross organic PER-ELEMENT / ingredient per serve? If I want to buy several of the 10 day kits where is the ecommerce “section”? To me – having to look deep and far beyond in Internet forums and image searches just to finally discover the ingredients profile themselves is not only punitive but transpires and affects how I feel about the company themselves. PRUVIT; whilst just as guilty for pushing out as many marketing ego’s as possible – they are nonetheless a company I can somewhat forgive. Because they are more transparent in their way of delivering information and engage the audience effectively and as accordingly as expected without any seemingly vague motives. PRUVIT; whilst indeed just as visually aggressive – remain clear, engaging and intentional in every way of design and communicable goals. 4/4 “tale-tailing” marketing goal. “Catchy-catchety-cat” titles. Personally, as an end consumer – I detest redundant gimmickry. Dough Bites® / Peetopia Stix®, just to name a few. All these names do get in the psyche of the consumer over time. Into thinking should this be all about them or the customer? …Or should I be intrigued by the somewhat confusing message on their banners? Have a look at this below. What is it that this banner is really trying to promote? Is it to burn existing fat and use up the carbs / glycogen stores (despite the contrary where it says “NOT CARBS!”)? …..Or is it to remain exactly as you are (in a state of burning fat) but somehow also encouraging yourself to embrace eating carbs again? …Weeks upon writing this article and staring at this banner – I still have no idea as to what they are really trying to say. Okay, so enough all of that. What can you do for yourself at your end? I shall answer these as two sub questions in return – How much can a single transaction of $150 buys instead? …And how can these supplements be outsourced individually? 1/2 Lets start (with some money) = $150. Say $150 Australian Fiat Dollars to spend three times a year. 150 x 3 = $450. If you earn a (very comfortable) income of $70,000 per annum – these equals to roughly anywhere between measly six to eight percent of your comparative allocated spending for every three months each year. Or 15% of your total per weekly income after taxes. But why the figure $150? This figure is what I believe to be a reasonable amount of tri-annual discretionary expenditure (that is; expenditure that is not life critical). At the very least not as big as your annual holiday getaways and trips. This hopefully (and obviously) – should easily be determined by a comfortable range of income as accordingly to your averages in your industry as well as nationwide in general. These entitlements of course; very seldom apply to me and my circumstances. So, what can you get with this sort of money? You can easily get FIVE LITRES supply of Extra Virgin unrefined Coconut Oil ($78) + 4kg of GMO Free Pea Protein unflavoured ($58). I knew you’d whinge about lack of flavouring – thus you could add $15 for 50ML liquid stevia (either online but extra for shipping or look at your local health store). For a little over the same amount you can get SIX 500ML bottles of MCT Oils and 90 serves of BCAAs (2x 45 serve tubs). Still not convinced? Why not consider a more balanced approach. 4kg of Stevia flavoured WPC ($87) . 500g of Arginine ($30), and 1kg of organic cacao powder ($25) . 2/2 CAN I SOURCE THESE INGREDIENTS MYSELF? The last and second part of the question is ultimately this – Can this Exogenous Ketones supplement be outsourced by each selective ingredients themselves? Well, based from my calculations – very possible. I’m sharing is only a hypothesis. Not yet a practicality. Precursors for at least training your body overtime to produce ketones themselves. As far as I know Ketones themselves (Hydroxy Butarates) can only be synthetically produced in a laboratory environment. So in this case, we will be looking at PRUVIT’s KETO//OS exogenous ketone supplementations as a product case study. Which consists of: MCT powders, the actual ketones (Hydroxybutarates), BHB salts, bit of caffeine, malic acid stevia and some natural flavouring. 15 one-off servings for $85USD. That’s it. If it costs you $USD90 for 15 one-off servings worth of Keto OS Supply then it will cost you a massive SIX dollars per serve. That is just one serve. One drink. Six US dollars is equal to eight dollars Australian. So – let’s see if we can replicate the above makeup. You can get ONE WHOLE kilogram of pure MCT powders for $47 DELIVERED. This technically speaking should last you for eternity as you are not going to cook with it. Next – this Malic Acid? You can get another one WHOLE KG for $55 DELIVERED. 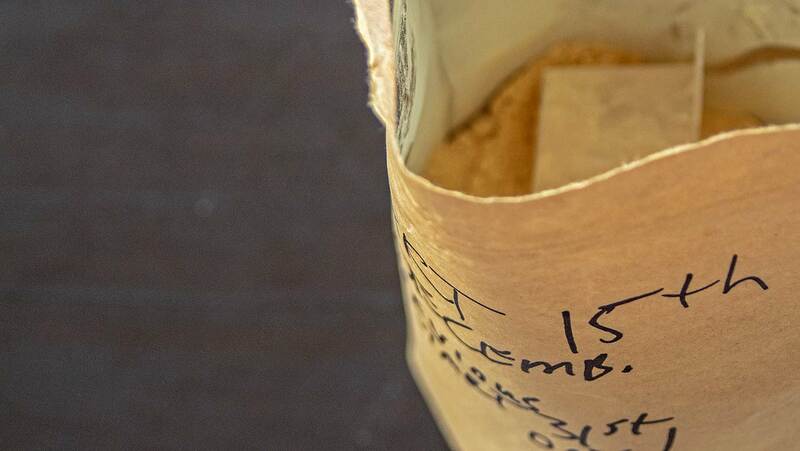 And this BHB salt – it is by accordingly to its’ official description is fancier form of salt – which incorporates both potassium and synthetic beta hydroxyl butarate. These claim to synergistically work together help accelerate the keto adaptation process. You could essentially speaking – take your potassium diet rite / lite / 50/50 salt and skull it with a tablespoon of coconut oil or MCT oil or the MCT powder and just simply rely on your own body’s ability to produce ketones themselves overtime. From 1kg of the MCT powder ($47) if you take say in a overestimated figure – 15grams per day – that whole kilogram of bag will give you 67 individual one-off servings. At just a mere 71 CENTs per 15g serve. Next, from the 1kg of malic acid ($55) say if you take a 5g a day – that bag will give you 200 individual one-off servings. At just $0.275 – that’s just 27 cents per individual serve. What’s next – caffeine? Use your $2.30 lot of organic green tea / ginger from Coles®. Stevia? $15 (15 divided by 300 serves = $0.05 per serve or 5 cents) get it at your local health store. Just add water and full cream ($2.1 for 600ML Harvey Fresh Whipping Cream @ Woolworths or even better $3.5 for full 1 Litre from Spudshed®). From this 600ml whipping cream it will give you 12 serves per week @ 50ML each serve. $2.1 divided by 12 serves = each serve will cost you 17 cents. Hence, based on calculations, it will cost you less than TWO DOLLARS per serve (with all diy componentry bought) vs. the EIGHT DOLLARS per serve of Keto // OS out of every single eighty-five dollars investment. ….And not to mention you have to replenish this investment $115 (AUD converted) every 7.5 days (assuming you have to take two servings a day; 15 serves / 2 = 7.5 days a week). What else can you think of spending $115 every seven & half days or aka – once every week? Dine in at Coco’s. Conclusion = don’t “cheat” Keto. The end of the day – all that matters is your experience. I really do want to “like” these products. I really do like to be immersed within these brands. A brand that is proud to have done for the greater good and cause for the wider community. With like-minded people and similar passion to mine against institutionalised dietary guidelines. But all this as it currently stands; remains divided in shades of grey. It is unreachably priced. Do these products work as they claim they should be? Or are they received in mixed blessing? As far as I have read the anecdotal reports – I can’t really say. All that matters and lies from now on IS YOU and YOUR OWN interpretation, perspective and experiences as such from taking these ketone products. I am unfortunately not entitled enough to confidently say that these would be worth it. But who am I to judge nonetheless at the end of the day? It is your money and thus the decision remains with you. Do you have any prior experiences with these Ketone supplementations? How are you finding them? Are they practical and sustainable as they claim to be? Do you feel they are worthy to every cent? I would love to hear back from you any thoughts in the comments below! This is an amazingly well researched and well written article. Thank you. I think attempting to make home made keto os is a bit of a stretch. I have a doctor friend who is a personal friend of one of the scientists behind it and I know getting the formula right was no easy task. I agree the price is crazy. Hopefully and highly likely the high st supplement chains will catch on and create their own product and create price competition to drive it down. I’ve used keto os just a few times and do notice feeling enhanced. Many friends swear by it, but due to high cost use it only on work out days and periods oh high output. Others have halved the recommended amounts and still experienced increased ketones. Thanks again for your writing. I’ll be following you from now on… Great stuff ! !